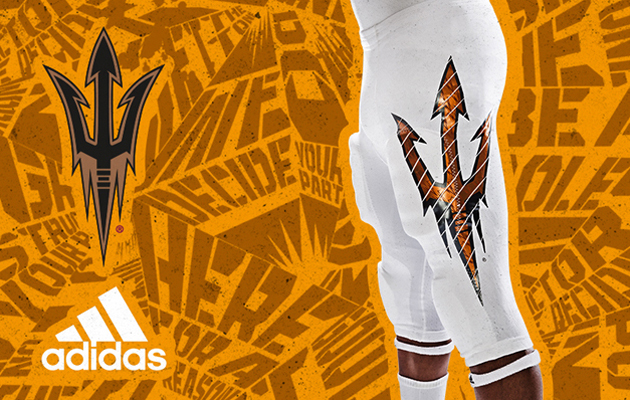 Adidas unveiled Arizona State's new “Desert Ice” alternate uniforms on Thursday. The new-look, white and copper uniforms will be worn during the Sun Devils' Sept. 5 season opener at Texas A&M. 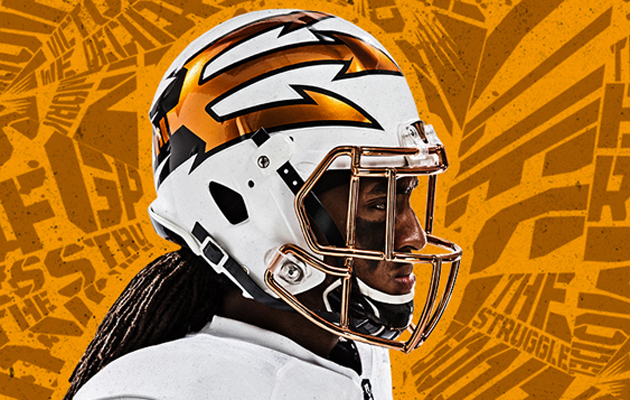 The design gives a nod to Arizona's nickname, the Copper State, with its copper-colored highlights on the numbers, as well as in the school's pitchfork logo on the jersey sleeves, helmets and pants legs. 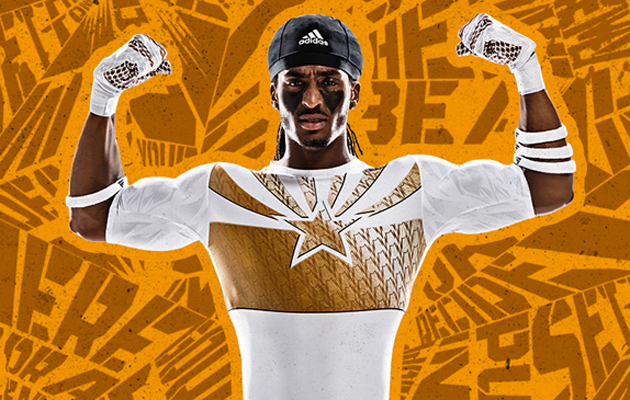 The new undershirt and gloves feature a copper graphic inspired by the Arizona state flag. Adidas also developed new standard uniforms for Arizona State, which it revealed in July after becoming the school's official clothing supplier. Last season the Sun Devils wore uniforms made by Nike.